Ho Ho HODL, happy holidays guys and hope you’re enjoying our ongoing 12-days Holiday Wonder event! But are you still looking for some last-minute holiday surprise? Plus, do you want to make bear market bear-able? Allow us to present our special holiday giveaway with FCK, the top gaming platform on Ethereum. From December 24th (starts at 12 AM, EST) to December 30th (ends at 11:59 PM EST), the first 1000 participants will be able to get 1 limited FTH token (worth around 0.01ETH). Apply for FCK repurchase mechanism, FCK team will buy back FTH with ETH. Trade FTH on the exchange. FTH token can be used within all the applications on FCK directly in short future. FTH, the decentralized donation certificate token, is an ERC-20 compatible token, you can watch, send, receive with any Ethereum wallet. The FCK platform is a decentralized game platform, after 4 months launch, already listed in Top.10 of all the Dapp rankings, received a million dollars angel round equity financing. We own classic games like dice, coin, Etheroll, poker, roulette, as well as self-development games. The lowest house edge with just 0.98%. 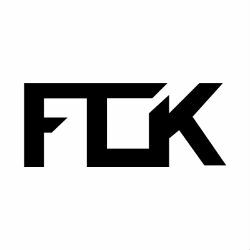 Currently, FCK is the first and only licensed blockchain casino. On the basis of openness, fairness, and transparency, we are continually optimizing our technology, systems, and services to provide a better player experience in order to meet the different needs and preferences of players around the world. 5. Tweet about this giveaway event and share it with your friends! FTH token will be distributed after Jan 4th. Enjoy the giveaway and we wish you a warm holiday season! *FCK team reserves the right of final interpretation.